Many of our readers are familiar with our recurring mantra that “the time to make friends is not when you need a friend”. In the world of emergency preparedness, this is critical. Learning the capabilities of your partners and neighbors during an incident delays response times and getting the right people and equipment on scene. Many organizations choose to focus on internal policies and procedures, hoping that any incident can be resolved quickly using resources on hand. But as we’ve seen throughout the country recently, little incidents can escalate into large ones quickly. For that reason, it’s in our best interest to prepare for the worst and hope for the best. 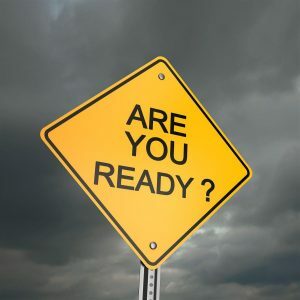 Agencies, corporations, and even communities need to embrace a “be prepared” mentality. For example, if you have railroad tracks running through your area, are you prepared for a crash? What about a derailment? What if that derailment includes hazardous materials? What is the impact on the community if you have to shut down the area around the incident for an extended period? Asking these hard questions can help all affected prepare in advance for an incident. FEMA Administrator Brock Long said, “We, as a nation, must address some fundamental, cultural issues in order to become resilient. Resiliency is more than just strengthening our buildings and other infrastructure, it’s making sure that our citizens have the proper tools and skill sets to reduce the impact of future disasters.” It can be argued that organizations have a responsibility to reduce those impacts as well; impacts that can be mitigated by plans, training, and exercises. Developing a culture of preparedness does not start in D.C., but in your backyard…and across all organizational boundaries. Everyone needs to question how prepared they are and how they will respond in an incident. Just as importantly, you need to share your plan with your response partners to reduce redundancies and improve the effectiveness of a response. Corporate secrets are one thing, but response to an incident should be an all-hands evolution. Seconds matter. We can ill afford to waste time trying to learn our partners’ capabilities and response times once the incident starts. • Do you have a standing Incident Management Team? • Are members meeting regularly? • Have you exercised the plans? • Have you exercised with all impacted agencies/organizations together? • What mutual aid agreements are in place? • Are your resources typed? • What is the most probable incident? • What is the most common incident likely? • What is the worst-case scenario incident? Part of community preparedness is a willingness to have an open dialog with the community and educating them on your response plans. Do you have pre-indicated evacuation plans or routes? How will you notify the public of an incident/threat? How will you communicate updates? Simple planning such as this can help reduce public concern, as well as frontloading them with information so they know how to behave during an incident. An educated public can reduce comments/concerns during an incident. While it’s nearly impossible to prepare for every potential, there is a significant benefit in conducting some “what if’s” and building a 70-80% complete generic response plan that can be modified to a specific incident. Having a partially built plan in advance will enable all responders to work more quickly, operating under an existing but evolving plan, instead of waiting for a plan to be created from scratch. Timing is everything during a response. Preparedness may not be the most glamorous, but when an incident occurs and you are prepared, it is glorious. The lives you save may be your own. Are you prepared?